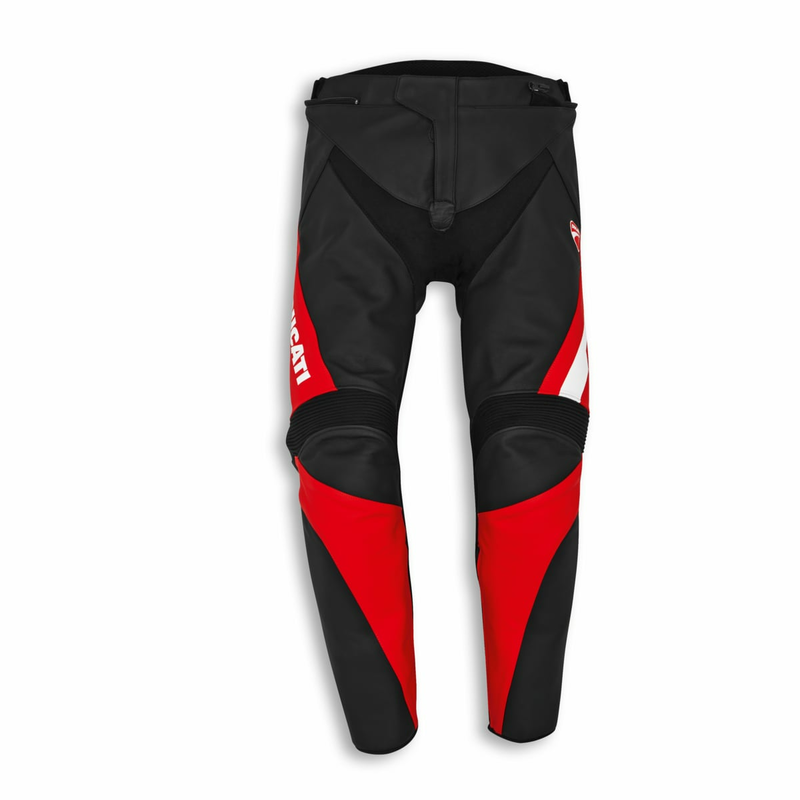 The Ducati Speed Evo C1 leather trousers, produced by Alpinestars exclusively for Ducati, are the ideal complement for the jacket of the same name. 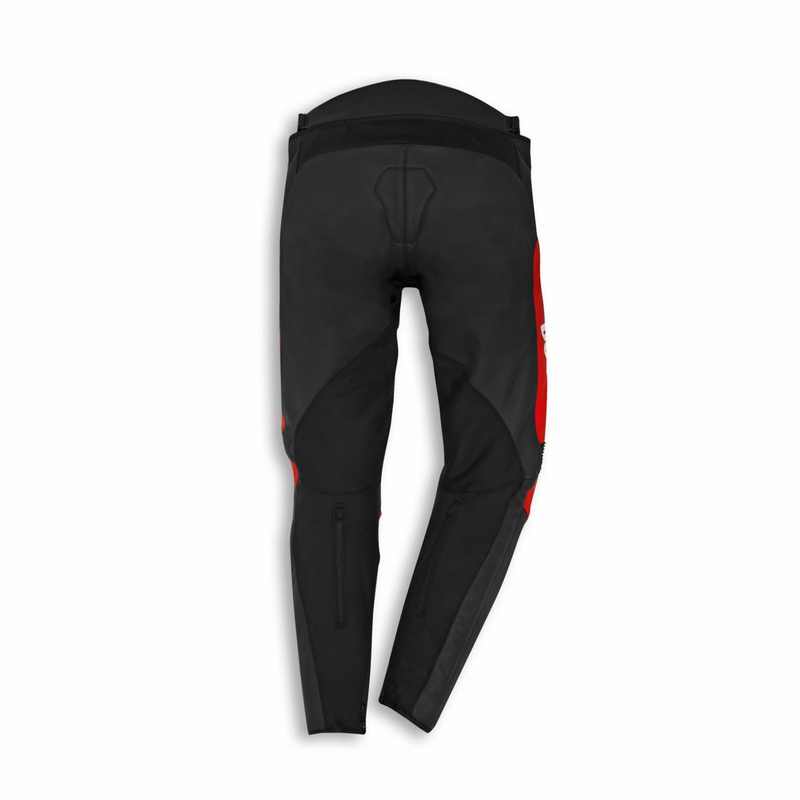 Available in a men's version, they come with shin and knee protectors, reinforcements in the hips, and are fully CE certified. 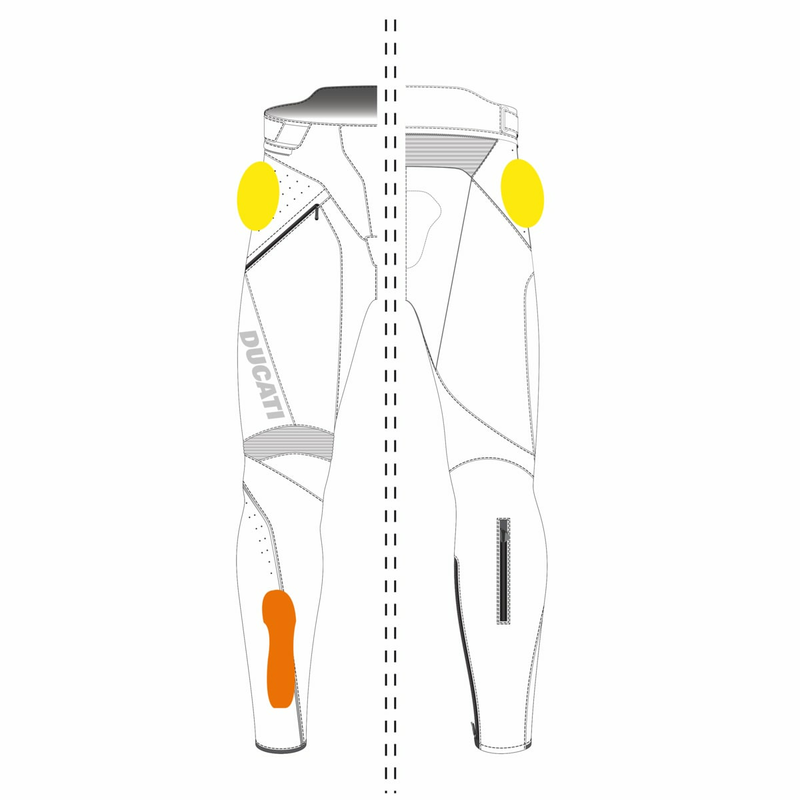 Comfort is guaranteed by the many elastic inserts on the calves and crotch, the adjustable waist, and by the practical zip that securely fastens them to any jacket of the Ducati collection equipped with a zip.